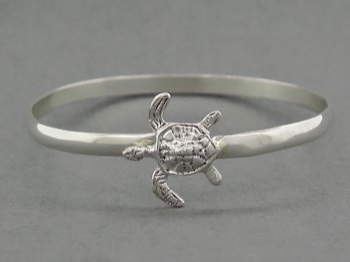 In honor of all the wonderful sea turtles that have graced St John waters this past year, Tom Krall has designed the perfect turtle hooking bracelet! 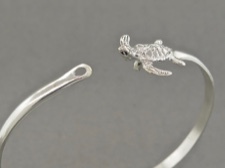 Handcrafted with a 4mm sterling silver band and beautifully detailed sea turtle. 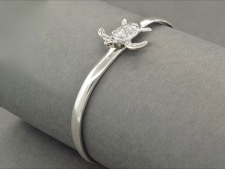 This unique bracelet is lovely to wear by itself, or stacks well with your other favorite bracelets. To order, please measure your wrist directly on the skin, on the wrist bone and indicate your WRIST measurement below. Note: Caravan Gallery will add a 1/4 inch to your wrist size.